Sentencing: A first-time DWI offense, which is the most basic offense, can result in as long as 180 days in jail, a fine of as much as $2,000, and a driver’s license suspension for as long as a year. The penalties increase if you have any aggravating factors, such as a DWI charge with a blood alcohol concentration of 0.15 or greater or if someone was injured during the incident. Previous DWI convictions on your record will also raise the level of the charge. Criminal Record: You can never expunge a DWI conviction from your criminal record. The best you can do is seal your record from the public if you were convicted for a first-time offense with no aggravating factors and you completed your probation. Without sealing your record, your DWI conviction will appear in a background check when you apply for a job or loan. Even if your record is sealed, law enforcement and employers in sensitive industries can still see the conviction. Driving Privileges: You can continue to drive after a DWI conviction if you receive probation. However, you will likely be required to install an ignition interlock device on any vehicle you drive. You may lose your job if you drive a commercial vehicle. A DWI conviction also suspends a commercial driver’s license, and most employers will not allow you to use an ignition interlock device on their vehicles. Travel Privileges: Probation often comes with a travel restriction. Texas may require you to receive permission before you leave the state. Some countries may bar you from entry if you have a DWI conviction unless you apply for a special permit. Before you assume that your case will end in a conviction, you should consult with a San Antonio DWI defense attorney at the Law Offices of Sam H. Lock. There may be details in your case that cast doubt on the prosecution’s evidence or make that evidence inadmissible in court. To schedule a free consultation, call 888-726-5625. What Evidence Is Used in a DWI Case with Prescription Drugs? Prescription medications and over-the-counter medicines have side effects that can impede your ability to perform normal tasks. 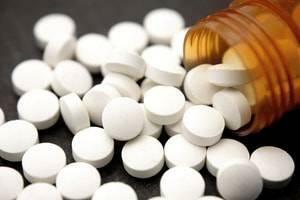 Mixing prescriptions or combining them with alcohol may heighten those symptoms or cause unexpected reactions. It is wise to read the potential side effects when taking a new medication and to see how your body reacts to it before driving. You can be charged with driving while intoxicated if a police officer determines that the effects of a legally prescribed drug impaired your ability to drive. The results of a blood test showing the presence of drugs. 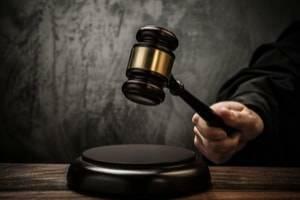 You cannot defeat a DWI charge by saying that a physician legally prescribed the drug to you. If a prescription drug causes you to reach the legal definition of intoxication, you may be responsible if you drive in that condition and put yourself and others in danger. The Texas Court of Criminal Appeals recently upheld a trial court’s decision to bar a blood sample from being used in a high-profile driving while intoxicated case. In The State of Texas v. Joel Garcia, the defendant has been charged with three counts of intoxication manslaughter for allegedly being under the influence of alcohol and cocaine during a fatal traffic accident. The trial court judge approved the defendant’s request to suppress the test results from a blood sample that police obtained without a warrant. The Texas Eighth District Court of Appeals overturned that ruling, stating that exigent circumstances permitted police to forgo the warrant. The Court of Criminal Appeals, the state’s highest criminal appeals court, reinstated the trial court’s ruling. The hospital was planning on administering an IV on the defendant, which may have diluted the blood sample. Texas courts can mandate that a defendant convicted for driving while intoxicated must use an ignition interlock device in his or her vehicle. The DWI offender must provide a breath sample in order to start the vehicle and continue to give samples periodically while driving. The device will report any sample that contains traces of alcohol to the court, which may punish the user for violating the terms of his or her probation. An ignition interlock is the most common type of alcohol monitoring device, but people suspected or convicted of DWI may be required to use other devices. Has not complied with using the ignition interlock device. 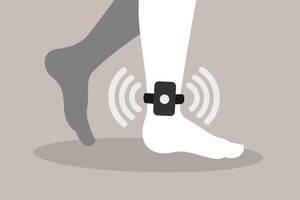 A portable alcohol monitoring device can be hand-held or a slightly larger device that must be plugged into an outlet. The monitoring authority determines how frequently the user must provide breathe samples, and the test results are either transmitted immediately or uploaded from the device periodically. Items such as mouthwash or hand sanitizer can cause a false positive test result. The device manufacturers claim that these substances should not contaminate the breath sample if the subject waits for 15 to 20 minutes after using them. You Are Conspicuous: In order to conduct a DWI stop, a police officer must have reason to believe that you are committing a traffic violation or are a danger to yourself or others. Driving the wrong way on a road qualifies as both. Even if a police officer is not there to witness it, other drivers will notice and likely report it. Authorities sometimes set up traffic cameras at highway exit ramps in order to identify people who drive the wrong way. If you are identified as the driver, you will have a difficult time claiming that the stop was not justified. 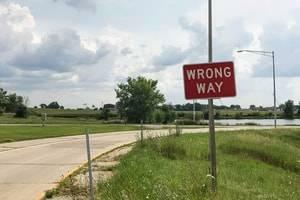 You Appear Disoriented: There is no plausible reason to drive the wrong way down a road or exit ramp. The officer who stops you will assume that you are either intoxicated or very confused. Starting with that bias, the officer may easily interpret your appearance or behavior as signs of being under the influence of alcohol or drugs. If your case goes to trial, the prosecution will use the fact that you were driving the wrong way to argue that your judgment was impaired. There Is Greater Risk of an Accident: Driving the wrong way can result in a head-on collision with serious or fatal injuries to both parties. You could be charged with intoxication assault if someone was injured in the accident or intoxication manslaughter if someone died. Both are felony charges that carry mandatory prison time and a fine of as much as $10,000 if you are convicted. There are ways to defend yourself if you are accused of a DWI after you were driving the wrong way on a road. You could contest whether prosecutors can prove that it was your vehicle or claim that you were confused but not intoxicated. A San Antonio DWI defense lawyer at the Law Offices of Sam H. Lock can contest the charges against you. To schedule a free consultation, call 888-726-5625. The Law Offices of Sam H. Lock, with offices in San Antonio and Seguin, Texas, provides criminal defense representation for people charged with state and federal crimes throughout Texas and the United States, including San Antonio, Austin, El Paso, Midland, Pecos, Waco, Hondo, New Braunfels, Laredo, Kerrville, San Marcos, Boerne, and Del Rio, Bexar County, Guadalupe County, Comal County, Wilson County, Gonzales County, Kendall County, Bandera County, Caldwell County, Hays County, Travis County, Medina County, Blanco County, Burnet County, Atascosa County, Live Oak County, Nueces County, Uvalde County.